Introducing Geoff Taylor, I first came across Geoff’s fabulous work in The Wolf Brother books by author Michelle Paver. 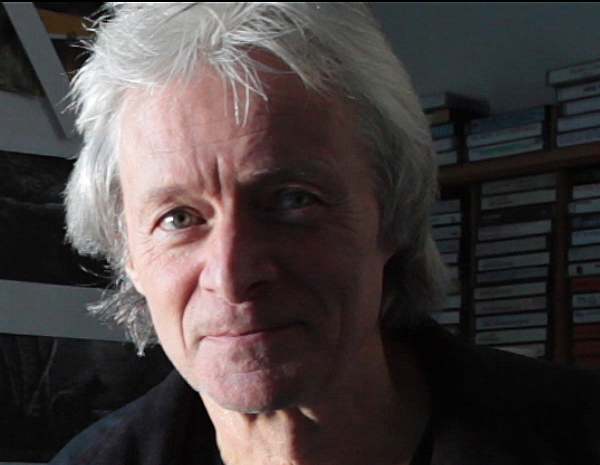 Geoff has enjoyed a very successful career in illustrating, everything from book jackets to record covers. I got the chance to talk to him recently about his art work and some of his tastes in music. PC: Can you tell me about your background and becoming an artist? GT: I was born in Lancaster a long time ago, we moved to Sheffield for a time before returning north to Arnside 19 years ago. After a 3 year Graphic design course at Chesterfield College of Art I began work as a Graphic Designer. In my quest to design Record Sleeves in the 70’s I did some illustrations for the album The Musical Version of the War of the Worlds by Jeff Wayne. Which led to book cover painting for fantasy and science fiction writers such as David Eddings and Raymond E Feist. I received commissions for pen and ink illustrations for children’s books for authors including Michelle Paver and Cliff McNish. Another style of art evolved when I was taken on by Games Workshop, a role-playing gaming company where I did many illustrations for their unique Warhammer World. When I first began painting I worked with designer’s gouache on art board and developed airbrushing skills which lend themselves well to the book cover art which needed bright intense colour, then a change to acrylic paints in the 90’s. The size of my painting brushes have always been fine, finer and finest which accounts for the detail in my paintings. Some say I paint every hair on a wolf! Maybe I do. PC: When your illustrating books or record covers, can you talk me throughout the process, does the client approach you or vice versa? GT: The publishing companies I get work from approach me. Usually a commission involves reading the manuscript or book, or sometimes a detailed synopsis. Sometimes this isn’t easy if the book itself is not all rewarding. In that case I will cover the majority of the book until I get some definite feeling from it. I don’t think it is always necessary to have some totally literal interpretation. Authors also offer their own suggestions. On occasions I would get sketches from the author with a detailed description on what their cover should look like, very prescriptive! Contact is usually from the art director or designers in the art department of the publisher, however. Any image the artist comes up with must also be within the structure of front and back cover format and whatever the designer decides as important (size of type, etc.). The next stage would be to read, plan, research, select, refine, modify and prepare a ‘visual’, which is sent to the art editor allocated with the responsibility for overseeing the job. The team of people responsible for artists get together and have a cover meeting and discuss visuals sent in (as far as I know they only brief one artist for the job and what usually happens they will make suggestions to improve the composition for lettering specifications or if they want other changes. If they are not happy I could be asked to do a further visual.) At this stage the authors are contacted if they have requested it and ideas and suggestions can be discussed over the phone or in writing, sometimes I do get some visual reference to work from but mostly I have to do my own research. This preliminary process can take a week or more. Then when the visual is approved the finished artwork goes ahead. This part of the artwork can take on average 14 days of full time painting. For people who think art is often overpriced, multiply a basic wage by total amount of time spent on one piece of work and your eyes may be opened! PC: Do you have a favourite out all the projects you have worked on? GT: The Robert Holdstock series of books. GT:Anything by the Bhundu Boys. GT: Anything by the Bhundu Boys. GT: Depends on my mood. PC: My guilty music pleasure would be a bit of 80′ soft rock what would yours be? GT: Paris Texas. Trainspotting wouldn’t know where to stop. GT: Ry Cooder and Ry Cooder again. PC : What would be your most frequently worn band t-shirt and is it an original? GT: Don’t believe in it! GT: Not having a funeral! PC: I am taking piano lessons, do you play any instruments? GT: Out on the Lake District fells at daybreak on a fine day with my camera then home having a Chinese takeaway or fish and chips from the local chip shop and a can of strong lager.